Gluck published American Originality: Essays on Poetry in 2017. Her most recent collection of poems is Faithful and Virtuous Night (Farrar, Straus and Giroux), which received the 2014 National Book Award for Poetry. 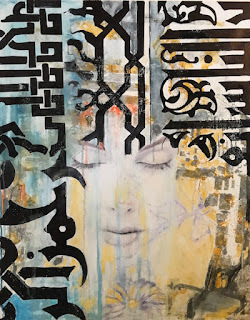 When I first came across Manal Deeb's paintings on LinkedIn, I knew instantly I wanted to invite her to be featured in my monthly column at Escape Into Life. Today, I am pleased to say, I am showcasing her work in Artist Watch. 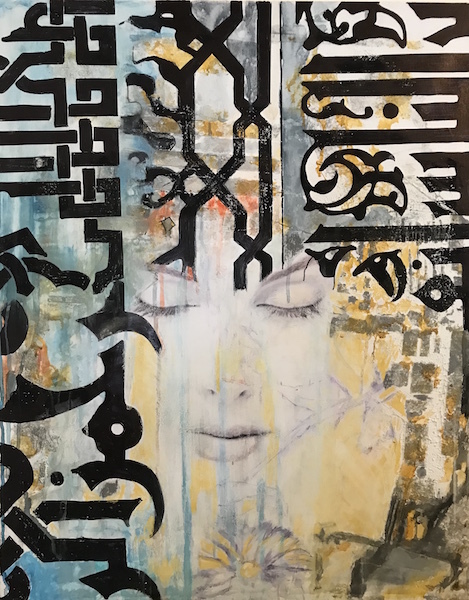 For Manal Deeb, who holds a bachelor degree in interdisciplinary studies in the psychology of art, women's faces, along with calligraphy, feature prominently in her multi-layered and mixed media paintings. Described by one art critic as a "Palestinian artist who paints life" in visual metaphors, she follows no particular school of art. Her subjects include feminism, identity, religion, and philosophy, among other interests. You'll find in today's new Artist Watch column images of seven of Manal's paintings, her Artist Statement, and a brief biography, as well as her social media links. If you are in Virginia, plan a visit to Workhouse Arts Center in Lorton, where you'll find Manal working in her studio, #1011 in building 10.
this is worth more than one life. * An excerpt from "A Charmed Life" including the quoted lines is in Marilyn Nelson, "Bowled Over — A Life with Poem: The 2017 NSK Prize Keynote", World Literature Today, March 2018. Today's short is a quick look at the award-winning and beautifully hand-illustrated Gorogoa (Annapurna Interactive, 2017), an interactive game created by Jason Roberts in which players move panels of art to "read" the storybook and solve the puzzle. Read Allison Meier's "Gorogoa Is a Hand-Illustrated Puzzle That Reflects the Transformative Power of Imagination" at Hyperallergic. out of suffering. It's an act of love. . . .
* Read a selection of poems from the collection. Today's short is the launch trailer for the documentary Whistle Words (Red Sparks Films), a film that traces how women with cancer reclaim their voices; specifically it follows poet Charlotte Matthews's experience of breast cancer, diagnosed as stage 3, and of her post-treatment efforts to reclaim through her writing her sense of self. The trailer is based on Matthews's poem "The Greatest Show on Earth". Matthews's third book of poems is Whistle What Can't Be Said (Unicorn Press, 2016). Additional film clips are available at the Red Sparks link above. Read Nin Andrews's interview with Matthews at The Best American Poetry Blog (June 4, 2018). Not meant for easy oblivion. once everything's been worked out. even a trace of your footsteps. Scott Hutchinson (b. November 20, 1981) died May 10, 2018. Just 36, he left his last words in a tweet: ". . . I'm away now. Thanks." 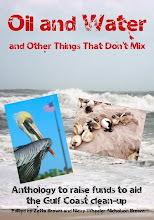 The poem's title and opening line are a variation on "Swim Until You Can't See Land" from the Glasgow band's album The Winter of Mixed Drinks (2010). Read Marc Hogan's May 14, 2018, article at Pitchfork, "Why Losing Frightened Rabbit's Scott Hutchinson Hurts So Much". Also see "Frightened Rabbit's Scott Hutchinson Dead at 36", also at Pitchfork. in small and subtle ways, according to the circumstances of loss. across my throat when I close my eyes—//. . .
Today, Saturday Short brings you "Asterism", a film of a poem by Keith S. Wilson presented at MotionPoems in partnership with Cave Canem. A selection of Wilson's poems is available at his Website.